Bibliography: Bartsch 418 (vol. 14, p. 314), undescribed state with “Ant. Sala exc.” at lower right; P. 91 (vol. 6, p. 60); Providence, First Maniera exhibition catalog (1937), 117; Ben Thomas, “The Academy of Baccio Bandinelli,” Print Quarterly, vol. 22, no. 1 (March 2005), pp. 3–14. 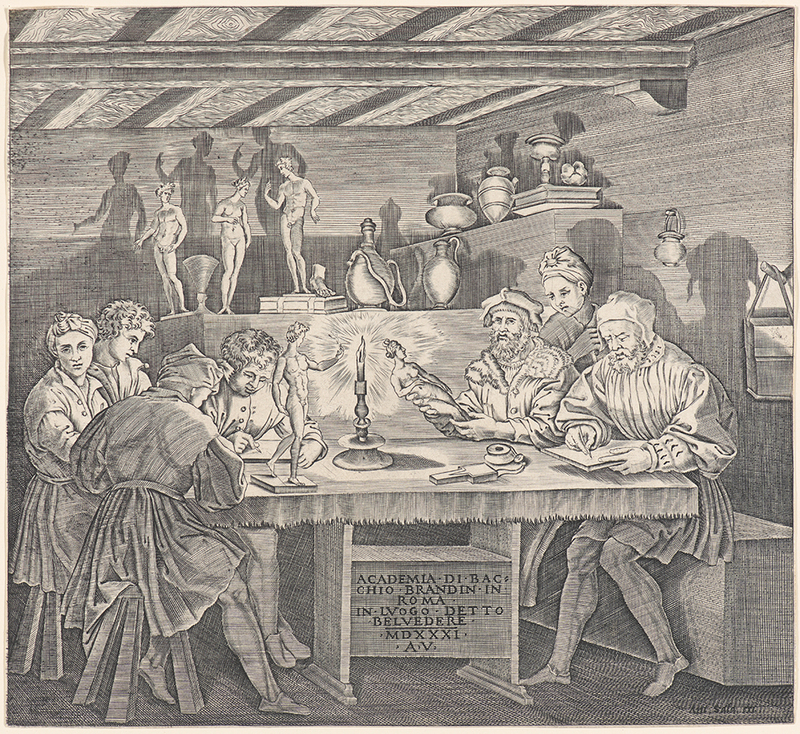 The Academy of Baccio Bandinelli, . Engraving. Undescribed state after first state. Plate: 275 x 299 mm (10.8 x 11.8 in.). DAC accession number 1967.24.4. Friends of the Davison Art Center funds, 1967. Open Access Image from the Davison Art Center, Wesleyan University (photo: M. Johnston). http://dac-collection.wesleyan.edu/obj10125 is a persistent link to this page with no user-session information.